In person: in Glasgow, Scotland, UK (Central Glasgow office). Via zoom/phone: wherever you happen to be located. Please follow the links at the foot of this page for more detailed information regarding follow-on readings, student tuition/mentoring, and practitioner support/supervision. Astrology links what happens in the individual and collective lives of human beings to the movement of the planets through the solar system of which we are part. It is an art/science charged with power: the power to help you find your place, tiny but unique, in the interconnected world in which we all live, move and have our being. You can do this through the medium of your carefully calculated birth horoscope, and a conversation: between you, me and the symbolic images of the planets in your birth chart. Those images paint a vivid picture of the characters on the stage of your life. Helping you in getting to know who those characters are, so that you can live your life with as much awareness, acceptance and understanding both of yourself and others as possible, is my aim in the astrological work I do. 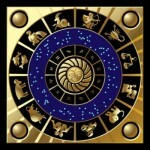 There are many facets to astrology, many approaches to its practice. My journey toward becoming a professional astrologer has been very varied: ask astro-wiki and they will fill in the details! Throughout the 1990s I broadened and deepened my knowledge by commuting by air monthly from my home base in Glasgow to London, where I was fortunate to study with world-renowned astrologers Dr Liz Greene and the late Charles Harvey at the Centre for Psychological Astrology in London, obtaining their Diploma in 1998. As time goes on, we all change, setting our own sails if we are wise to the prevailing winds of our lives at the present time. My choice now is to keep offering a follow-on service to clients whose horoscopes I have already read in depth – and to support both astrology students in training, and practitioners who need a confidential space in which to discuss their work with an experienced colleague. And, of course, to keep enjoying the pleasures both of teaching my small tutorial classes, and of my various writing commitments.